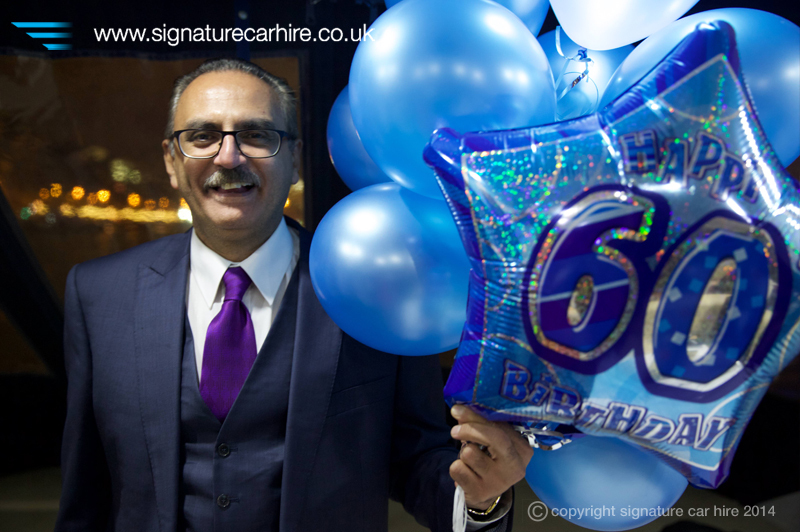 How would you react if, five days before your father’s 60th birthday and in the middle of the festive season, you were asked to organise a surprise birthday party for him? 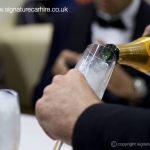 Add in the fact that you are a very busy doctor, and the situation really doesn’t look promising – unless, that is, you happen to be a valued client of Signature. 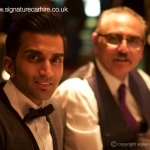 Atish, who found himself in just such a scenario, is a longstanding friend of Signature who has used our services to celebrate many of the momentous moments in his life. 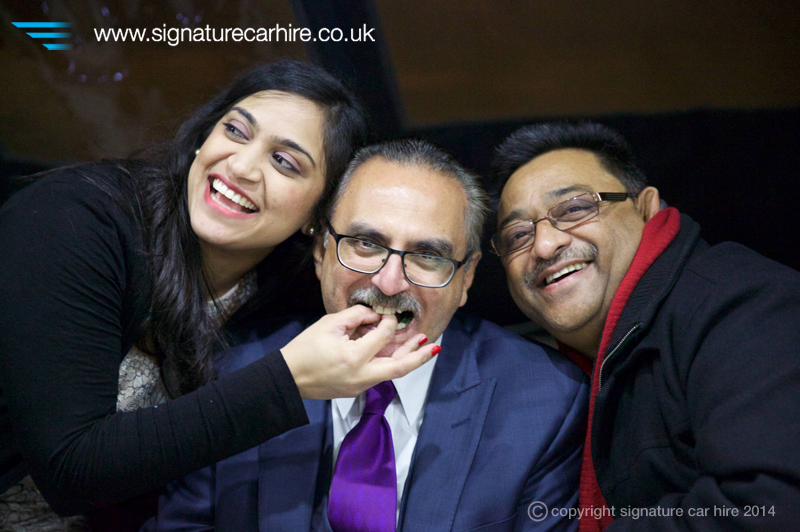 You may remember our previous blogs about Atish – one of our favourites is about the time he hired a Lamborghini as part of his proposal to the beautiful Beejal, who – we’re very happy to say! – is now his wife. 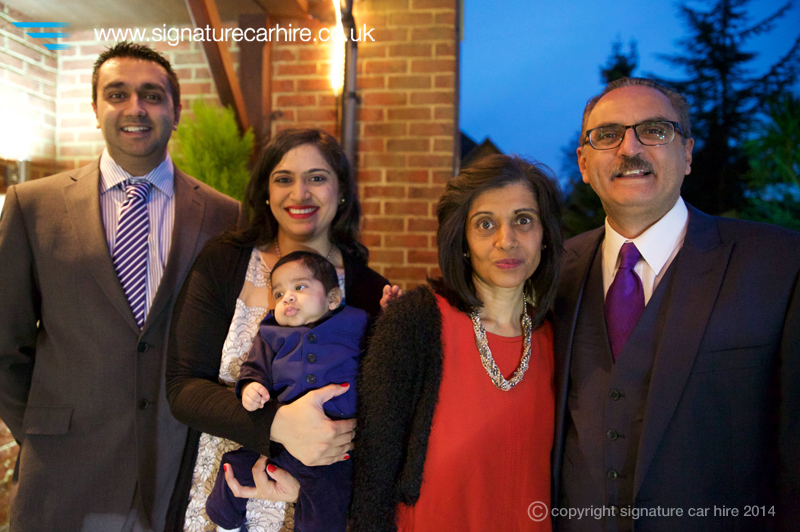 It was natural, therefore, for him to telephone us and ask if we could put together one of our famous celebration packages for his father Shubhash. We got the call at 8am on 10th December, and immediately summoned the entire team into a brainstorming session. With the aid of a few cups of coffee, our fantastic team discussed the things Atish’s father likes, and mapped out possible plans that would incorporate these. 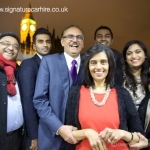 Given that the festive season was in full swing, it was more challenging than normal to devise the perfect plan, but that just made us all the more determined to succeed. 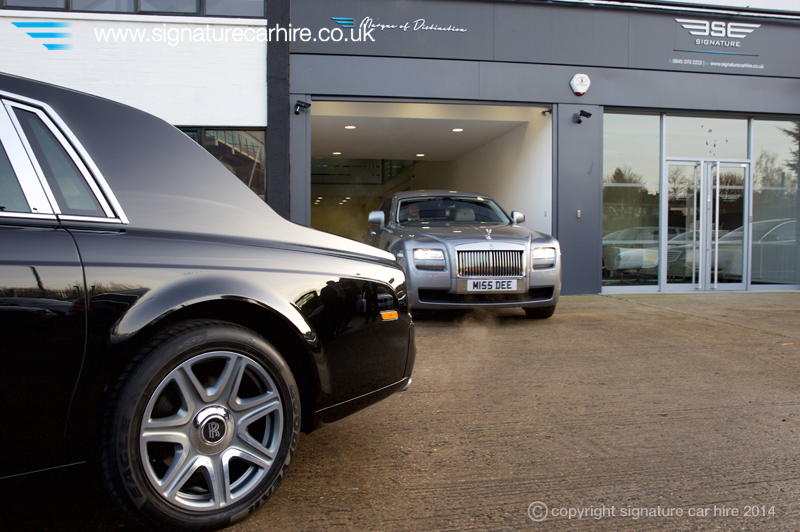 As the UK’s leading luxury car hire and chauffeur service, we were fairly confident in our transport options, and selected two beautiful, stately Rolls Royce cars – a Ghost and a Phantom – to transport the birthday boy and his special guests. 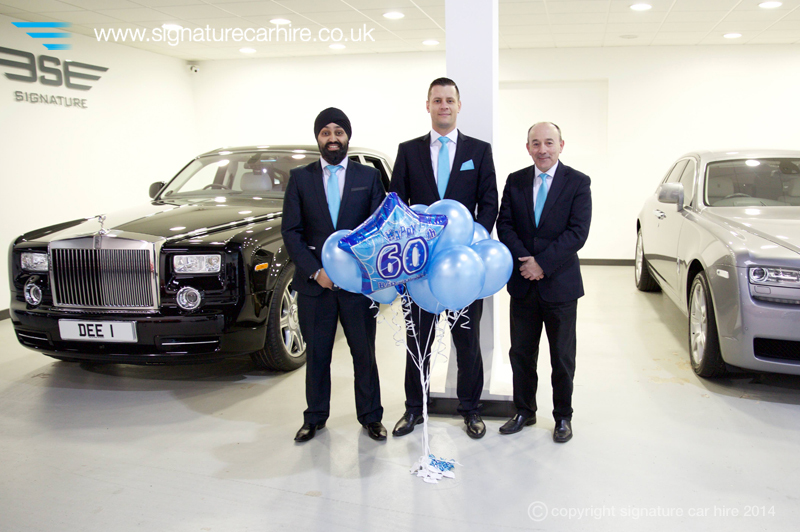 Our chauffeur team and control team were primed to ensure the cars could get anywhere in luxury and style – all we had to do next is figure out where they were going! 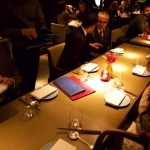 Having learned that Shubhash is very fond of Chinese food, we pulled out our little black book and phoned Hakkasan, one of London’s best restaurants. They were completely full that evening, but, being Signature, we were able to call in a favour with the manager and open up a table. 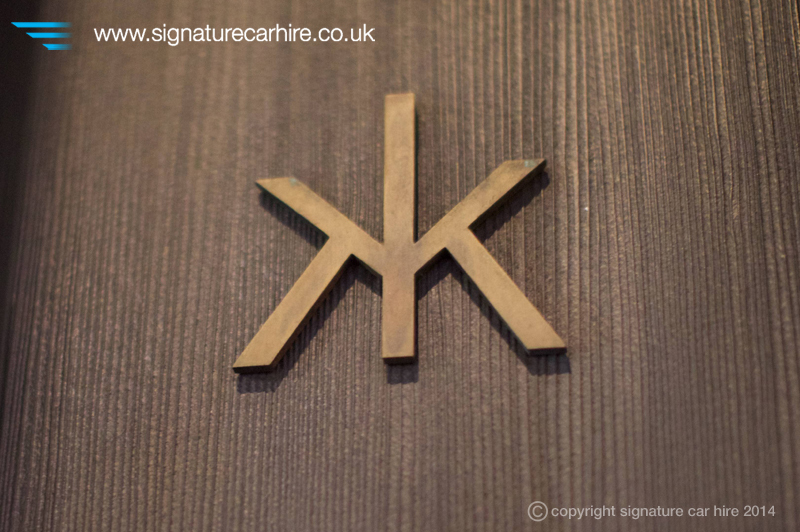 Hakkasan is one of our favourite London venues and their helpfulness on this occasion illustrated both why we like them and why they’re at the top of the capital’s restaurant scene. 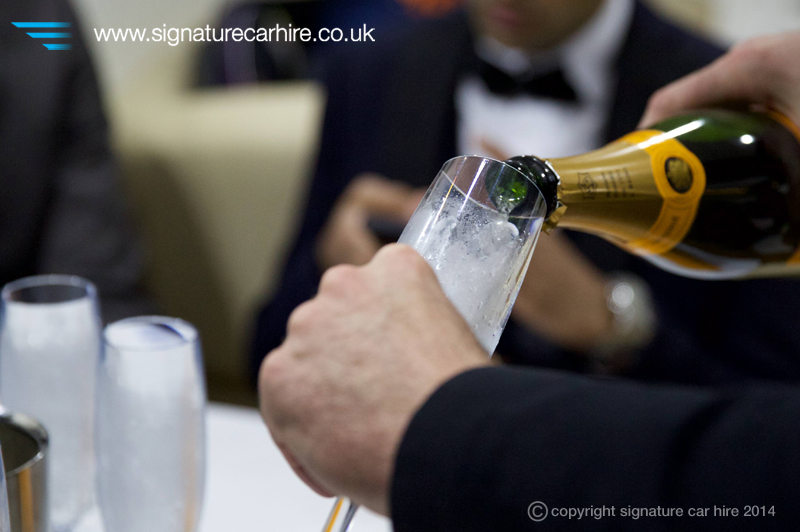 So – we had two of the world’s best cars, and one of the UK’s top restaurants. 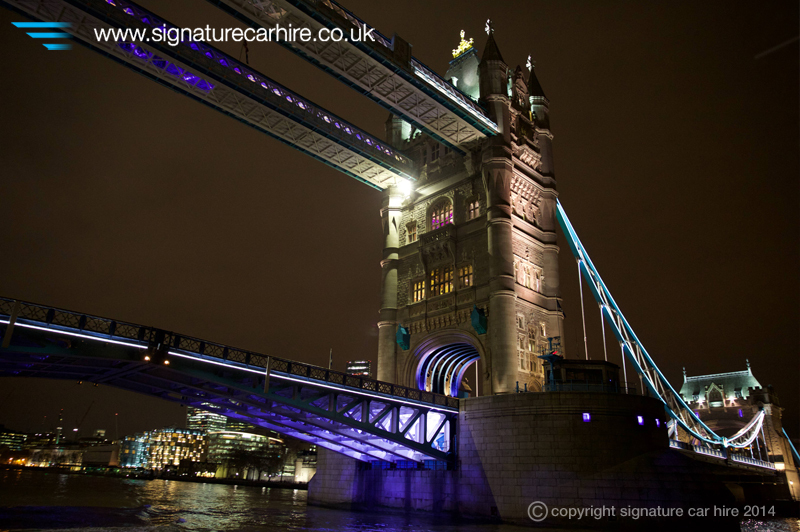 Not bad, but not quite a Signature experience. 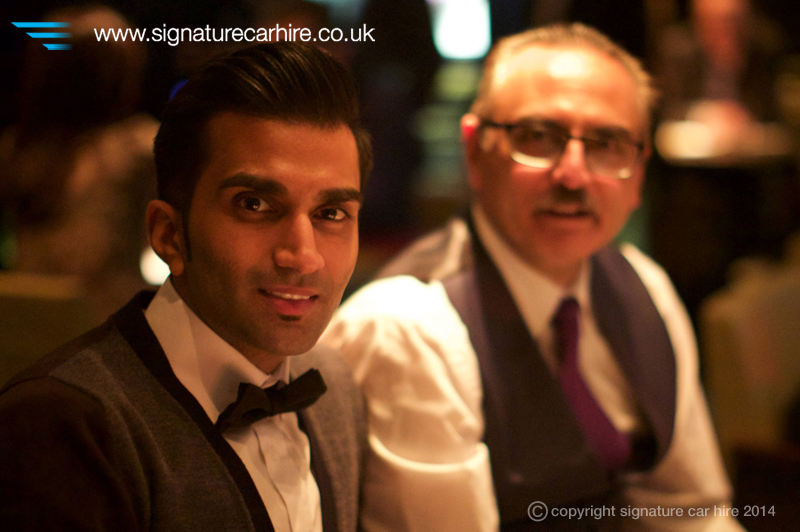 As Umesh Mistry, Head of Chauffeuring at Signature, remarked, “we believe that a birthday should be celebrated in style, so we needed the “wow” factor.” After a further conversation with Atish, it was decided that his adventure-loving dad would be thrilled by a speedboat ride down the Thames before dinner. 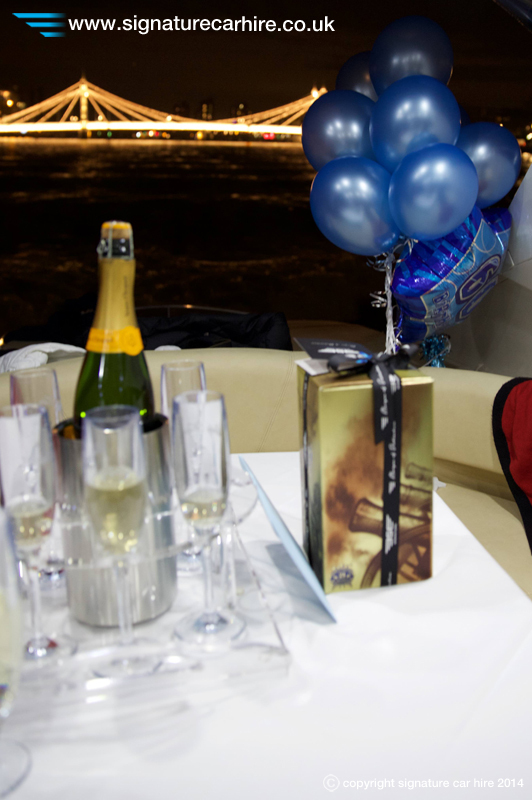 We arranged a speedboat with one of our trusted contacts but, just as it’s a looking a bit 007, the company said that they could not carry the 5 month old baby which would be one of the guests at the birthday party. 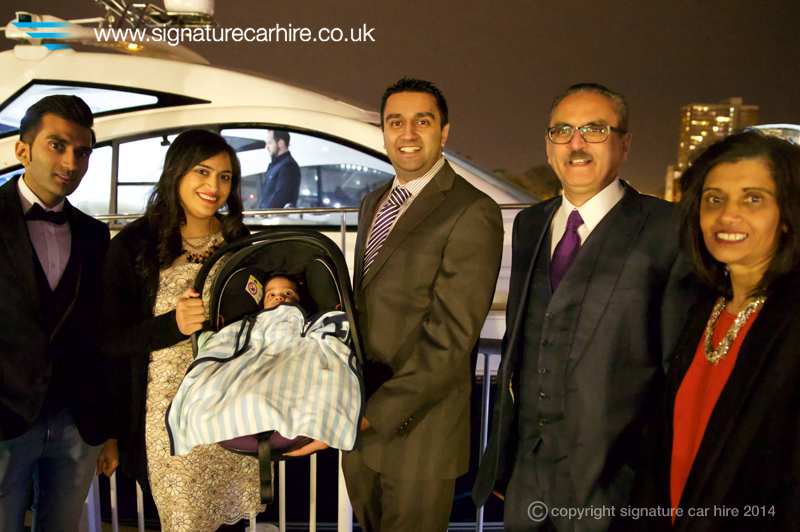 Although Atish kindly offered to mind the baby while the others enjoyed their ride, the Signature team were never going to settle for second best, so we arranged a fast luxury charter boat as an alternative. 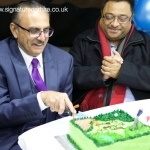 The luxurious nature of the boat meant that we could even put canapés, champagne, balloons and a golf-themed 60th birthday cake on board as an extra surprise for Shubhash! 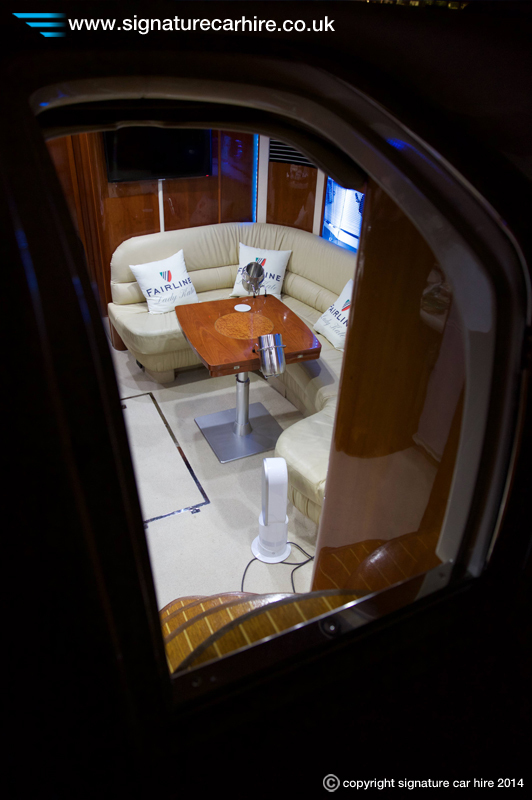 Despite the cars, the boat and the restaurant being in place, our team stayed on hand throughout the 5 days leading up to the surprise, just in case anything extra needed to be planned. 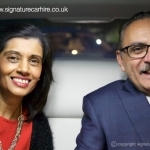 As it happened, two extra guests were added to the group, so our staff added a luxurious Mercedes and extra chauffeur to ensure that no-one was left behind! 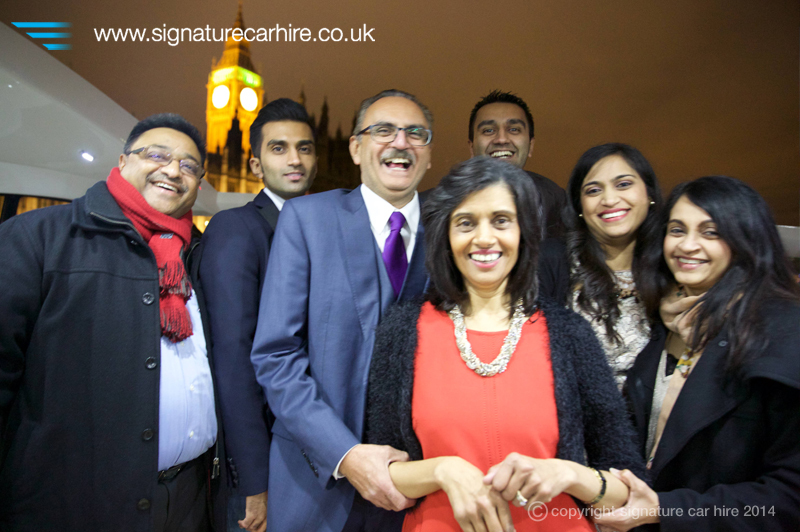 The day itself highlighted just how extraordinary the results are when the Signature team pull out all the stops. 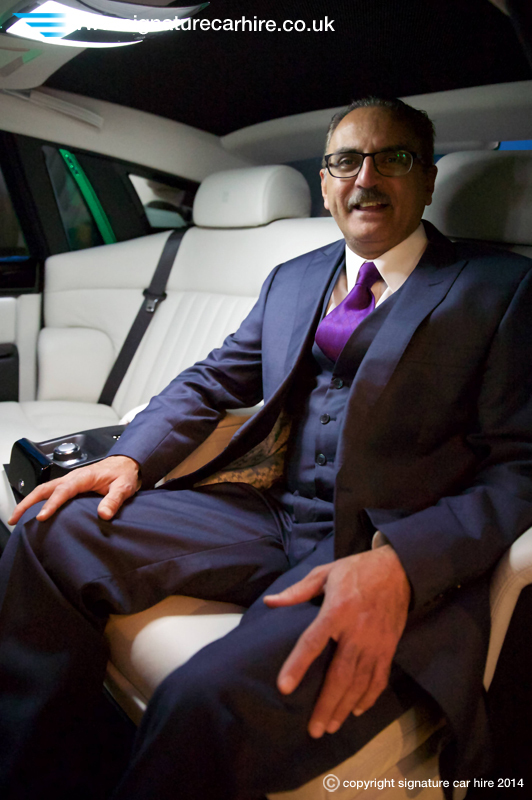 The expert chauffeurs picked the group up at 4pm – the earliest Atish could finish work – and raced expertly to the Thames, navigating through the busy rush hour traffic in London with ease. 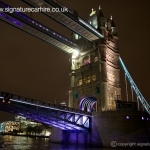 There was only a narrow time slot in which they could deliver passengers to the wharf, because the boat had to depart at a set time to avoid messing up their subsequent dinner plans, and the chauffeurs fulfilled their tricky task with aplomb. 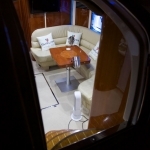 While the happy guests embarked the luxury yacht, the cars set off to the pick up point, ensuring that everyone could go straight from the boat into a warm car and then onto the restaurant in style. 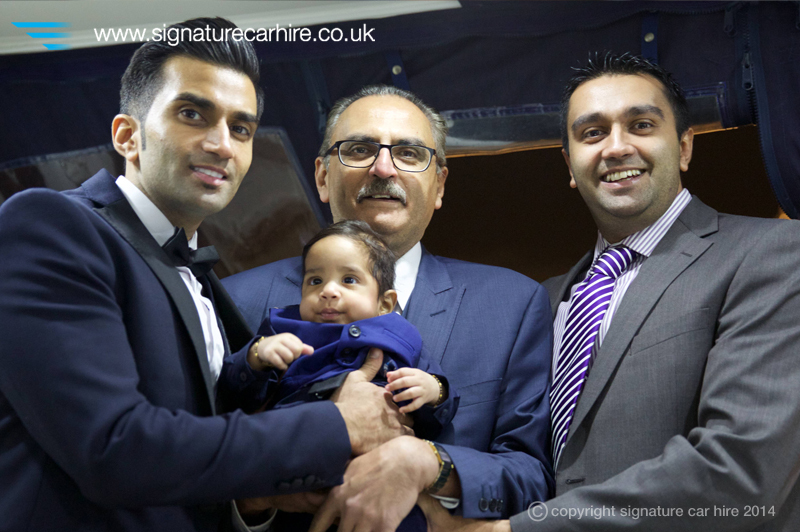 On the yacht, meanwhile, Shubhash’s family enjoyed drinks and luxury snacks while our trusted professional photographer David Kristaly took photographs for the birthday album that would be presented to Shubhash later on. 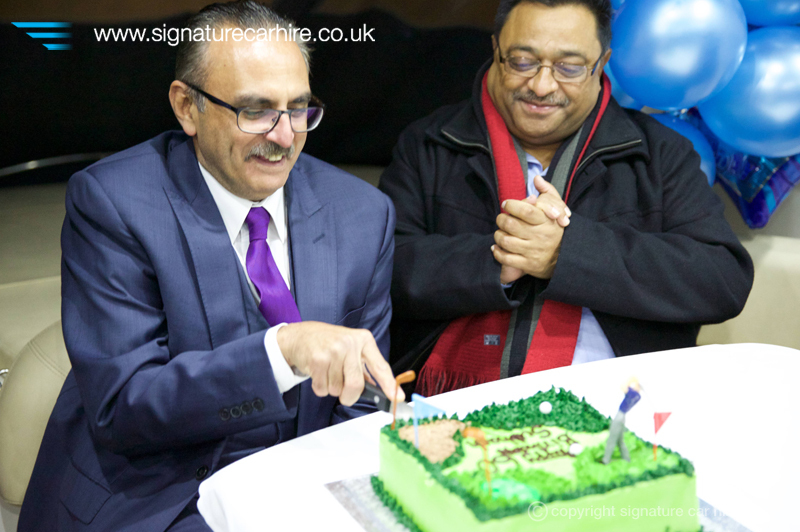 The guests had a marvellous time aboard the Lady Kate yacht, watching the bright lights of London speed past in the darkness, and celebrating with keen golfer Shubhash as he cut his special birthday cake. 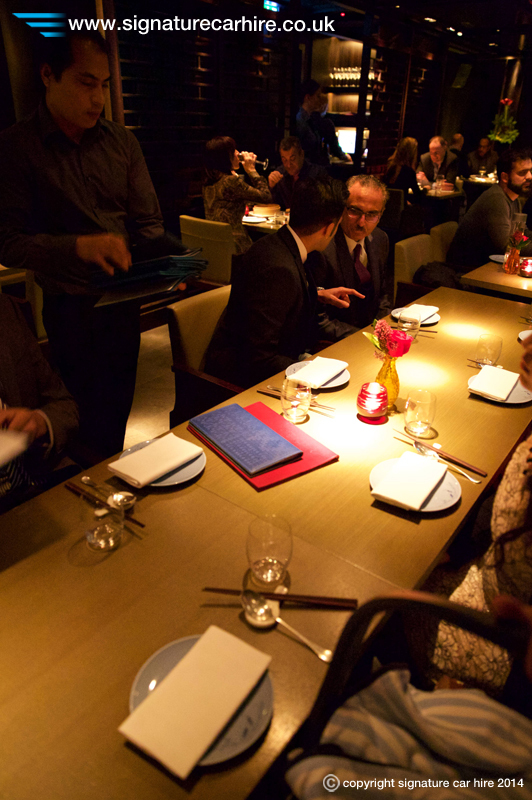 After their thrilling ride, the guests were once again taken in style to Mayfair’s exclusive Hakkasan, where they enjoyed a delicious, Michelin-starred Chinese meal. 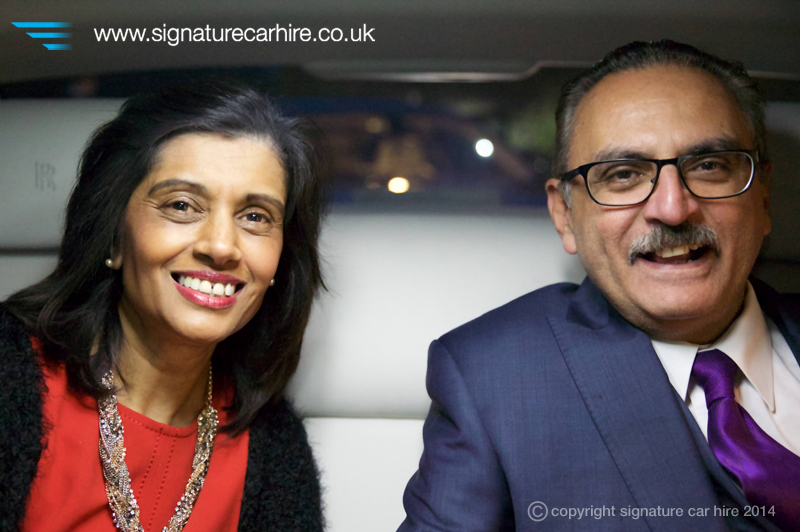 After the celebrations were over, our chauffeurs took them all safely home, having had a truly memorable day.